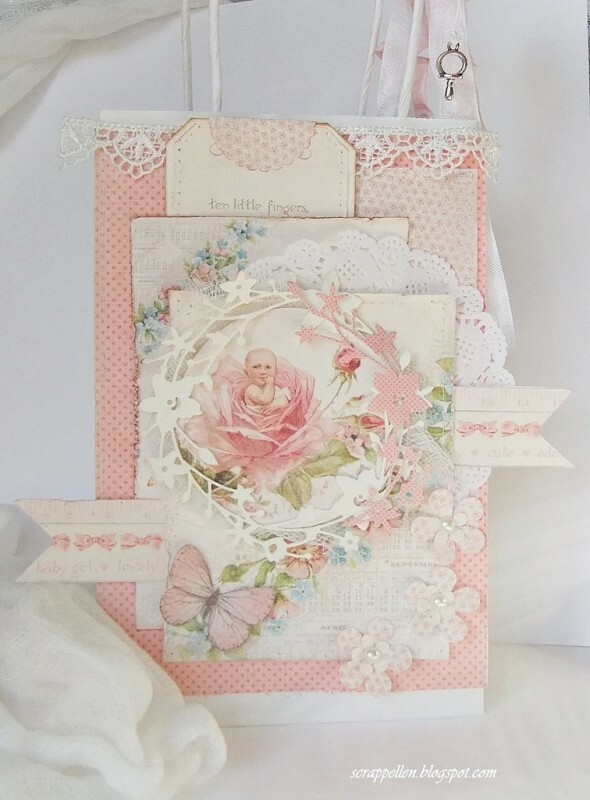 Hi, I’m in love with this beautiful baby paper collection Sweet Baby. 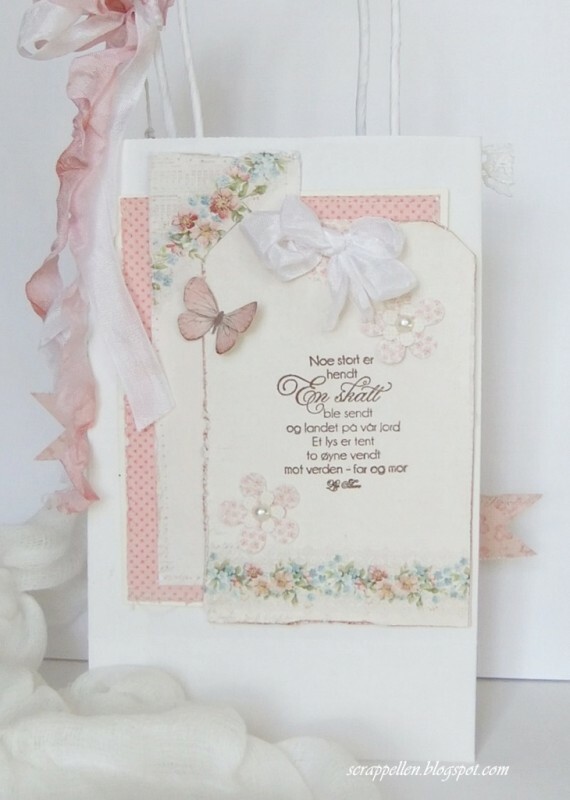 I’ve made a paper bag card, with a hidden tag, and the paperbag is perfect to put a little baby gift in! 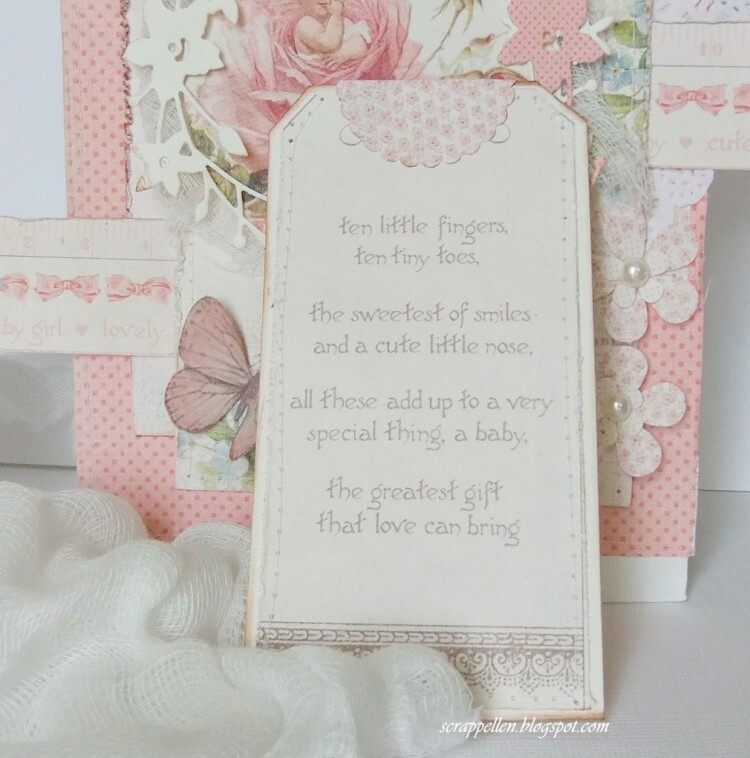 I’ve used a tag with cute sentiments on, from the sheet “Tags”. The backside of the bag. Thank you for visiting, and I hope you find some inspiration here.